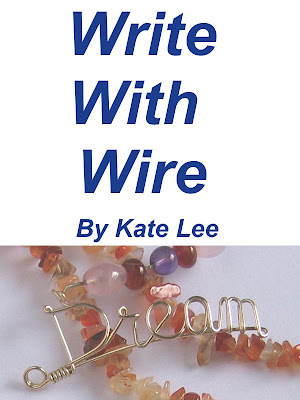 This wire gaga design is using double-ring. "g" and "a" have same loop. When it comes to handmade, it's hard to make things the same. The tip is using same tool and same technique. Call the wire craft a gaga pendant, a gaga dangle or a gaga bookmark, whatever you like. If you like to make your own, you can learn with my ebook and make as many as you like.